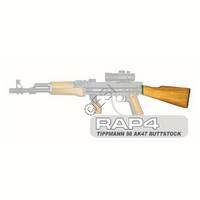 All the mod's which can make your Tippmann paintball gun look like an AK-47 are listed here. Make sure the mod you are looking at is listed for your Tippmann model. Need help? Let us know and we can find the best solution for your gun. 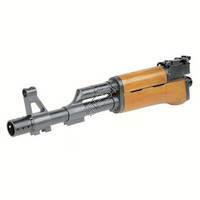 Tacamo AK-47 Barrel Kit with Wood [X7, Phenom] - Black and Wood Wooden and Metal fixed stock. Ak-47 military replica.